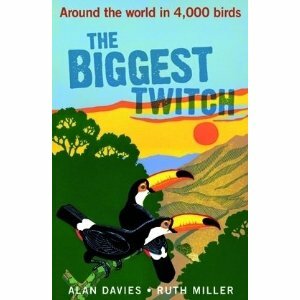 This great book tells the story of how two Brits (Alan Davies and Ruth Miller) traveled the globe in order to see as many birds as possible in one year. In doing so they smashed the existing world record after clocking up over 4000 species! Full of adventures and told with a great deal of wit and humour! An essential read for all birders and indeed for all who travel in search of wildlife. Go get it! Published by Helm (A&C Black), London. Quite simply, this the THE guidebook to identifying the Damselflies and Dragonflies of the European continent. It has a comprehensive and excellent text, useful keys, good range maps and superb illustrations. 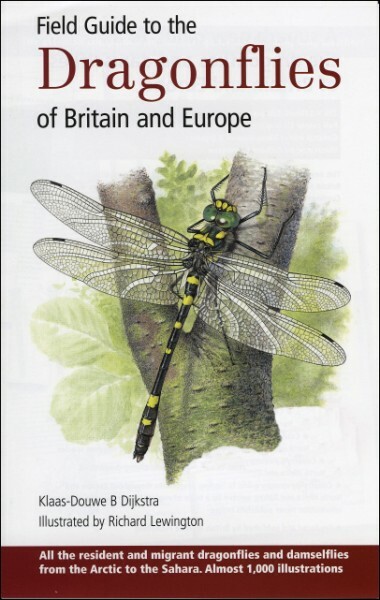 It was published by British Wildlife Publishing (BWP) in 2006. Highly recommended! 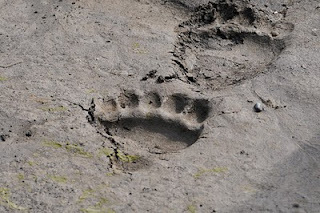 Alaska is one of the very best places to see Grizzly Bears. This photo of the paw prints in damp mud of one of those huge mammals was taken by Mike Crutch in May 2010.